The Malaysian Chess Federation (MCF) has for many years now a President in Tan Sri Ramli Ngah Talib who does not plays chess, and who might still actually do not know that Magnus Carlsen is the World Chess Champion! In all his time, he has never given, let alone raised any money, always depending on a series of Deputy Presidents, one appointed but who eventually challenged him, another elected but who couldn't tolerate his behaviour, yet one more forced out through jealousy, all quitting MCF and chess, but with the current appointee, a fellow politician, remaining loyal. His appointed but unpaid MCF Honorary Secretary Gregory Lau (who only keeps his position by ensuring Ramli's survival) makes a living through a rent seeking model that he has developed in collusion with equally needy individuals in MCF. Lau does this by wielding enormous power over national selection, international participation, applications for World Chess Federation (FIDE) titles, and the award of national championships and rated events... as backed by Ramli while controlling the day to day administration and also the MCF accounts. But there is no grassroots or even young talent development plan and certainly no program for a national team, and there is not even basic fundraising activities such as applying for the many available government grants let alone seeking corporate sponsorship. To be fair to Ramli we have to ask why his MCF simply cannot perform even its most basic functions and then we get the sad answers, including incompetence, and this is compounded by MCF being run without adherence to even its few badly formulated rules and regulations as decisions are made in secrecy or forced through on the basis of looking after their own. What else explains a leadership with zero transparency, no accounts, and the constantly postponed elections for years? But what of the rest of those in MCF notwithstanding most are appointees or whom after having after being elected have been promoted to vacant positions and still contribute nothing? Is the status of holding position being in the MCF Council so great that they are so happy to be complicit in all its wrong doings? Since the Tromso FIDE Congress in 2014 where the last FIDE election was also held, Ramli has actually learned something and so is careful to ensure that he is Malaysia's FIDE Delegate, and so might enjoy free hotel and even get the occasional a plane ticket to attend FIDE and Asian Chess Federation (ACF) meetings. Yes, for his vote, on top of whatever generosity received, he has also been given one of the many token ACF Vice President positions although he probably thinks he is instead a FIDE Vice President but then again can we blame someone who not only knows nothing about chess but who also does absolutely nothing? If an election actually takes place and if there can actually be a new President, the chance for change might be possible and to start with, MCF will need to be structurally revamped and professionals brought in to at least initially help run it. For too long it has been forgotten that MCF's members are its state associations, full stop, and so MCF needs to only deal through and with them and them alone. The exceptions would only be clearly defined programs that are directly MCF's national role but approved by all beforehand, for example when a national team with clearly defined objectives and targets to achieve is formed with own management and funding in place. National championships are now too many, too very similar, and very ill thought out. They are not designed for excellence, and there is also a need for them to be rationalised together with other state level championships. Our national championships must actually mean something and be worth something! Events are also now concentrated in the hands of too few in MCF and target that one paying group who must participate for a chance of international participation, and so will always have the numbers, but for those involved in its organising, it is mainly to generate income and favour for themselves. Instead, the focus should be on development programs including both for promotion in schools and in public and private life, and to build capacity through the training of coaches, organisers and arbiters. This organising of entry level activities and competitions will require all of the local chess community being given a role. Such an eco-system enhances the standing of our local chess professionals. While parents will always continue to look out for their children and are willing, perhaps even happy to pay for the children's participation in international events, MCF must differentiate between these and those who have won the right to be our official representatives. Our best have to be both supported and rewarded appropriately so as they can succeed and then also become role models for their peers and even future generations. Everyone wants to be known as a national player and even better still to be a national or even international champion and perhaps also have a FIDE title, but all this should be deserved and earned and not instead paid for although too many will argue that money and connections will trump talent and hard work. Some senior national players also use their questionable current or past national team selection to sell themselves as trainers and now there are serious questions being raised with this similar representation of such achievements by our international youth representatives. Some schools are getting grants, their students recognition and even scholarships, and we all know how good it looks on a resume with an attached certificate! But that cannot be what MCF does or continues to allow if it is to be a credible national sports organisation and play its role in both administering and developing the game in Malaysia while facilitating young talent and ensuring successful international participation. For Malaysian chess to flourish, MCF needs to be above the many various individual and group interests and the best way is always with having a transparent organisation with a good structure in place and a governance that is fair and equitable to all. I do not believe that anything will change with or without Ramli as what we now have in Malaysian chess is what most of us want and we are also actually quite happy with! 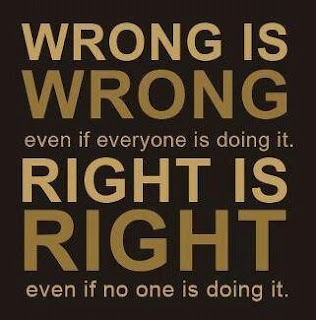 Yes, most agree with what is I have said above but only until it applies to them and the truth is that even if we could, we are not interested to do the right thing. It is really so much better and easier to personally benefit from having an MCF with no money and whose decisions can easily be changed. There should still be some good people left but maybe they too are giving up as I have?